On May 10, 2010, Nestlé USA will be honored at the 10th annual Golden Heart Awards at the Beverly Hilton Hotel in Los Angeles. The ceremonies recognize the company’s dedication of service to the Midnight Mission, a social service agency and shelter for the homeless serving Skid Row in Los Angeles. The Midnight Mission has been advocating for the homeless and disenfranchised since 1914 with services and programs that help lead to self-sufficiency for homeless individuals and their families. The charity offers meals, drug and alcohol treatment and medical services as well as legal services and childcare in the hopes of alleviating the hopelessness and despair for those less fortunate. The Mission also provides education and employment opportunities, as well as a being a safe haven for those who have nowhere else to go. Nestlé USA has long been committed to helping homeless men, women and children around the country and throughout the world, and no place are their contributions more generous than here in LA. More than one hundred Nestlé USA employees and their families volunteered their time this past holiday season to assemble food donation bags and distribute them to the homeless. “Nestlé’s commitment to the Midnight Mission is second to none, from their executives’ presence at our holiday meal service to their very generous support,” said Larry Adamson, President and CEO of the Midnight Mission. “Nestlé is a company – a culture – of Golden Hearts. From the very top of their organization and throughout the culture of the company, Nestlé USA understands the value of building strong communities. Ed Begley Jr. will be hosting the night's festivities, and Andy Garcia will be in attendance as Honorary Chair and celebrity presenter, presenting the Hopkins’ with their Golden Heart Award. Oscar-winner Jeff Bridges and his wife Susan are supporting the event both financially and as Honorary Chairs, but are unfortunately unable to attend. Ed Norton is lending his support to the event as well but is also unable to attend. 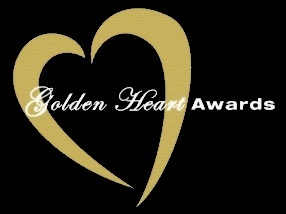 The Golden Heart Awards will be held at the Beverly Hilton Hotel in Beverly Hills on May 10, 2010. Tickets for the event are $250, and sponsorships are encouraged and available at a variety of levels from $1,000 - $25,000 (each are partially tax deductible). A reception at 6 PM will be followed by dinner, the awards presentation, entertainment by comedian Larry Miller and music by famed blues singer Tony Galla. 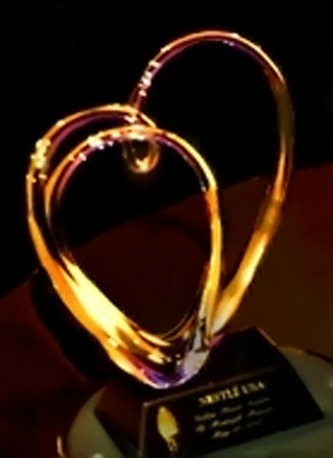 Grammy award-winning rocker Tom Petty, his wife, Dana Petty, along with The Edison and Sony Pictures Entertainment will be recognized at the 11th Annual Golden Heart Awards for their compassion and involvement in services and programs offered on behalf of L.A.’s Skid Row population. LOS ANGELES, May 9, 2011– Grammy award-winning musician Tom Petty and his wife, Dana, will be honored at the 11th Annual Golden Heart Awards on May 9 along with The Edison and Sony Pictures Entertainment for their philanthropic work with The Midnight Mission, a human services agency offering emergency services, drug and alcohol recovery and transitional programs for homeless men, women and children in Los Angeles. The Golden Heart Awards took place at Beverly Hilton Hotel and will begin with a 6:00 pm private reception reception, followed by dinner, the awards and entertainment by comedian Larry Miller and renowned singer Tony Galla. Actor and environmentalist Ed Begley, Jr. will serve as master of ceremonies. Tom Petty and his wife Dana are generous supporters and in 2008 hosted a concert to benefit The Midnight Mission. “Tom and Dana really capture what this event is about and that’s people using their gifts, talents, capacity and compassion to help others live better. I am inspired by their care and concern.” said Larry Adamson, president and CEO of The Midnight Mission. The Midnight Mission will also pay tribute to The Edison and Sony Pictures Entertainment at the gala, giving each organization a Golden Heart Award for their ongoing philanthropic commitment to the charity’s programs and services for the disadvantaged in greater Los Angeles. The Edison, in Downtown's Historic core, celebrates an era of invention and imagination. Patrons enjoy Artisanal cocktails and signature food in one of the world's most unique and visionary spaces. The Edison is a consummate partner in addressing the issue of homelessness and poverty in Los Angeles by providing monetary support, in-kind gifts, and countless volunteer hours by executive staff and employees. Sony Pictures Entertainment’s motion picture, television, computer entertainment, music and online businesses make Sony one of the most comprehensive entertainment and technology companies in the world. This honoree’s commitment to helping The Midnight Mission raise funds and awareness is only surpassed by their volunteerism efforts. From serving meals year round to ensuring the needs of families in transition are met, the honorees are committed to helping The Midnight Mission help the homeless. Established in 1914, The Midnight Mission provides diverse services for homeless and near-homeless people of Los Angeles, striving to re-establish them as useful and self-respecting citizens. The charity offers meals, drug and alcohol treatment and medical, legal and childcare services in an effort to build a bridge from homelessness and despair to self-sufficiency. It also provides educational opportunities, jobs and a safe place for homeless individuals and families to lay their heads at night. The Mission offers help at no charge to any man, woman or child who walks through its doors in downtown L.A. The Midnight Mission is a California 501(c) 3 nonprofit corporation and operates largely through private funding. Larry Adamson serves as CEO.